In 2010, the Machimar Adhikar Sangharsh Sangathan (MASS) complained to the Ministry of Environment and Forests (MoEF) regarding severe impact on environment because of the activities undertaken by the Adani Port and SEZ Limited (APSEZL), Mundra. This was followed by a public interest litigation filed by Kheti Vikas Sewa Trust in the Gujarat High Court in 2011 regarding destruction of mangroves. The MoEF’s site inspection revealed that there were “certain violations” related to construction of facilities by the APSEZL without prior environmental clearance (EC) or coastal regulatory zone (CRZ) clearance. In a follow-up, the MoEF appointed a committee under the chairmanship of well-known environmentalist Sunita Narayan of the Centre for Science and Environment in September 2012 to look into allegations of environmental violations by APSEZL. The MoEF-appointed committee’s terms of reference are relevant, since Adanis’ proposed ship breaking facility too is in the same ecologically fragile zone and the impact of this activity will also have severe impact on environment. The MoEF committee specifically observes in its report in April 2013 that there is “incontrovertible evidence” against the Adani Group of violating environmental norms in its Mundra port and SEZ project. It even recommended a fine of Rs 200 crore or 1 per cent of the total project investment, whichever is higher, to restore the damage. The committee’s observation was clear enough — there was a case for the Gujarat Pollution Control Board (GPCB) to consider its observations in letter and spirit while granting any clearance to the ship breaking facility. This is quite contrary to the observations made by Sunita Narayan’s experts committee, which, on the basis of site inspections, found “many instances of non-compliance.” Its observations included “large scale reclamation, using dredged material on mangrove area behind the West and North port sites, laying down of a pipeline in the inter-tidal zone obstructing the tidal flow affecting mangroves, large scale destruction of mangroves especially at the north port site, obstruction of creek systems and natural flow of seawater because of reclamation.” The above suggests that the draft EIA report wrongly justifies the project by saying that it is using a barren land and the project is unlikely to change land use pattern. It forgets the fact that the land has been created by the project proponent at the cost of environmental degradation. The APSEZL has taken environmental clearances for its various projects in very tactical manner. It has taken clearances in such a way that the cumulative impact of individual project may not be visible, yet it has led to massive ecological changes with adverse impacts on the region. The Sunita Narayan committee has specifically mentioned in its report that “there is no assessment of the cumulative impacts of power plants and port projects, which have been granted EC or are awaiting clearance. But the combined environment and social impacts could be potentially massive and must be understood so that remedial actions are taken.” In fact, the draft EIA fails to analyze the cumulative impact of all the activities on the coastline, including impact on the fishing communities. The draft EIA seeks to illustrate analysis of alternatives. But it only gives analysis of alternative methods to be adopted by the project proponent. It fails to analyze alternative locations of the project which may minimize the effects due to the project. This shows the attitude of the project proponents, who first “created” land by reclaiming it for its business purpose by damaging environment, and now wants to make profit out of it by setting up ship recycling industry, having least concern about the various types of pollutants, including oils and heavy metals from paints, spill into the sea and so on. All this is found to have an adverse impact on environment. It would also restrict the breeding, feeding and roosting grounds of some water birds – depending on their migratory patterns. 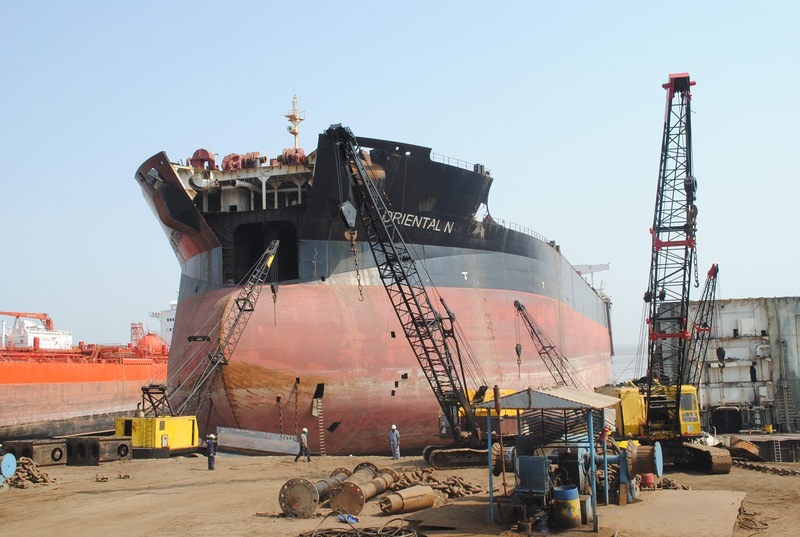 The ship breaking process produces a lot of solid and liquid waste including asbestos containing waste material and other hazardous wastes, apart from ships’ effluents (bilge water, slop water, and tank washings). As per the draft EIA report, these wastes will be generated in huge amount and will be transported by trucks to the Nandesari Environment Control Ltd (NECL), which is more than 400 km from the project site. This will considerably add to the cost and inefficiency of the entire process of recycling. Noise pollution is another concern. Present traffic density of the West Port is 1026 per day, which will increase with the proposed project. Heavy traffic can disturb life of the villagers on way, and also increase traffic accidents and pollution level of the area, in addition to noise pollution. The draft EIA report says, “The project will directly employ about 1,500 people. Some of the workers will be housed in Mundra Port’s labour colony.” It also talks about medical facility to be provided to the workers at the Sterling Hospital adjacent to the township. However, it is quiet on details of the colony or its location. 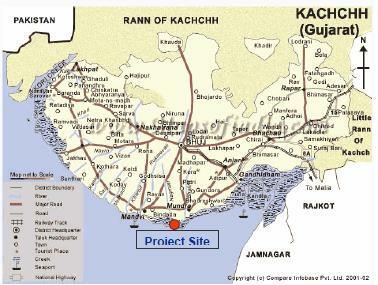 A public interest petition (PIL) was filed in the Gujarat High Court accusing the APSEZ authorities of encroaching upon pastoral/gauchar land in Siracha village of Mundra taluka to build workers’ colony. Also, as per the Sunita Narayan committee report, there are issues regarding HTL violations in the construction of Samundra township and the Sterling Hospital. There is a need specify the location of the labour colony and justify it. Overall, it is possible to conclude that the APSEZL has been a habitual violator of environmental laws, and already has adversely impacted the environment and the livelihood of the fishing communities. The company’s proposed project, ship recycling, may be a profitable industry, but there are a number of environmental and human health hazards associated with it. The ship breaking activity itself is manual labour intensive and unorganized. It is a threat to both the terrestrial and marine environment as well as to public health. Though such companies claim that they will take care of environment and they would implement all existing legal provisions on it, the sector has been deteriorating our environment. Past experiences like Alang (Bhavnagar district) and Sachana (Jamnagar district) ship recycling facilities have been eye opener for us which have done disastrous impact through their activity, and poisoning and polluting the beach. Likewise, the coast of Mundra has suffered a lot, and any further industrial activity will only aggravate problems. In view of the above and the company’s background, no environmental clearance should be granted for the proposed project for creating a ship recycling facility.